////// DARKEMPIRE TRIP AND ARRIVING TO MEXICO!!! 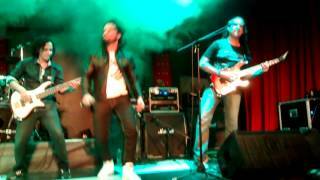 ////// DARKEMPIRE LIVE IN BOGOTA!!! Subterranica invite to the great pre-show of the Subterranica Music Awards Colmbia 10th Anniversary!!! Greeting friends, we inform you all, that we will be in Bogota next May 10 2016, playing in a live show at the Subterranica Colombia Music Awards 2016, a decade of Legend... SEE YOU YOU THERE!!! ////// DARKEMPIRE LIVE - METAL TRILOGY CALI 2015 - PHOTOS!!! ////// NEW DARKEMPIRE LIVE VIDEOS!!! Enjoy the new videos of our fans at the #MetalTrilogyCali2015 show ... And we will loading more IN OUR OFFICIAL YOUTUBE CHANNEL!!! 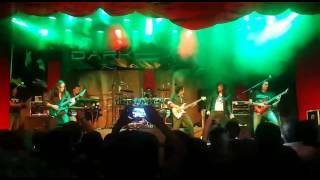 This is one of the multiple videos shooted by our fans, at the beggining of our #TourOfPersuasion2015 at the #MetalTrilogyCali2015, we really appreciated for send all this videos to us, THANK YOU CALI!! !